If you’re immersed in the wonderful world of CBD, you probably have noticed some brands are much more costly than others. There are a lot of reasons two (seemingly similar) CBD products cost two very different dollar amounts. Market prices may be all over the place simply because this is a new market, and sellers are trying things out for size, seeing what people will pay for good (or bad) quality CBD. Some CBD-based companies are producing high-quality, locally sourced, lab-tested and toxin-free CBD. All good things. Others, though, may be importing cheap hemp oil of unknown quality, slapping a CBD label on the bottle, calling it CBD and selling it to consumers. If that is happening, that isn’t just illegal and unethical, it could be harmful to the consumer. Introducing new product into an unregulated market in and of itself is grounds for inconsistent price points, but many other factors come into play on attempting to explain the high price of CBD products including inefficient farming and production methods, insufficient consumer information, limited patient access and greed. Fortunately, we know what we’re talking about when it comes to CBD standards. If you aren’t familiar with CBD, here is an overview: CBD (formerly regarded as cannabidiol) is the natural health compound people can’t seem to get enough of due to its many health benefits and therapeutic effects. Derived from the cannabis plant, CBD is non-psychoactive (meaning, it does not make you high), it has proven to relieve common conditions like anxiety, inflammation, arthritis and endometriosis, and is currently being researched for a myriad of mental and physical health issues. Three of the most common extraction methods include liquid solvents, oil extraction and carbon dioxide (CO2) extraction. The last of these three methods is the priciest (due to expensive equipment), which causes CBD products that use it to be a lot more expensive than those who go with other methods. Reputable companies favor the CO2 extraction methods because it results in the purest, highest quality CBD product, leaving minimal to no impurities. On this same note of extracting processes, people are also making it harder on themselves by overspending on farming something (hemp) that grows quite naturally and simply. Many growers are implementing techniques not suitable for scalable, cost-effective hemp farming. And, by using overpriced extraction machines, these companies are increasing their production costs further due to additional outprocessing (or removal) of harsh solvents. This, then, is passed over to consumers who are paying the price of their inefficiency. Another way of judging the value of hemp-derived CBD is to compare it to the CBD extracted from more expensive cannabis flowers. For example, CBD companies that create tinctures and balms extracting CBD from cannabis flowers rather than hemp stalks can upcharge because the CBD from the flower bud part of cannabis typically costs around two to four times as much as CBD from hemp stalks. In addition, if a brand’s CBD oils or products are blended with THC (the psychoactive compound of cannabis responsible for getting users high), that costs 2.25 cents per mg to manufacture. And that cost includes other factors necessary to make a quality product like lab testing, tinted bottles, labor, rent and utilities. On that note, some CBD companies spend a lot of money double-testing every batch of imported CBD oil for heavy metals, pesticides, microbes and solvents, and does the whole thing over again after the final product has been assembled. This is a wonderful method to ensure consumers are getting a quality product that will be effective and safe, but it comes at a price. Are you attracted to shiny, colorful packaging of products? Even going so far as to trust what’s inside the aesthetically-pleasing package based solely off the appearance? If so, you’re a marketer’s dream target. This is another way CBD retailers can command a high price — by creating sophisticated materials and packaging them perfectly, they are able to sell products at a premium price point — all because their packaging looks great, it (most likely) has nothing to do with the quality of the actual CBD product. An excellent comparison to this way of selling products is looking at the beauty industry. The beauty industry was built on the pretty packaging formula. Those expensive face creams and lipsticks you see on shelves at Sephora? A lot of them cost about $2 or less to make. The craze over CBD has led to somewhat of a gold rush. Some CBD companies are taking ill-intentioned advantage of the hype surrounding CBD, swooping in to make a quick profit and then getting out as soon as they’re satisfied with the dollar amount accumulated. Again, this is due to the fact the CBD market is unregulated at the moment. This should change in the near future as we see advancements in medicine, technology and other factors that are positively contributing to the CBD as a holistic alternative to modern medicine. Manufacturers are rushing in with products and throwing all-over-the-place prices out there to see what sticks. As time goes on and the market becomes better regulated, a middle prize zone will presumably emerge. This will only happen when today’s massive myths and inefficiencies surrounding the industry subside. Credible companies will learn how to increase the quality of their products while still being able to turn a profit, and the scam-artist sellers will be weeded out. Cannabis researchers believe the promise of this “theoretically affordable plant-based medicine” will have its due when the scam-artists and low-quality manufacturers are driven out. Daintri’s focus is on health and wellness. 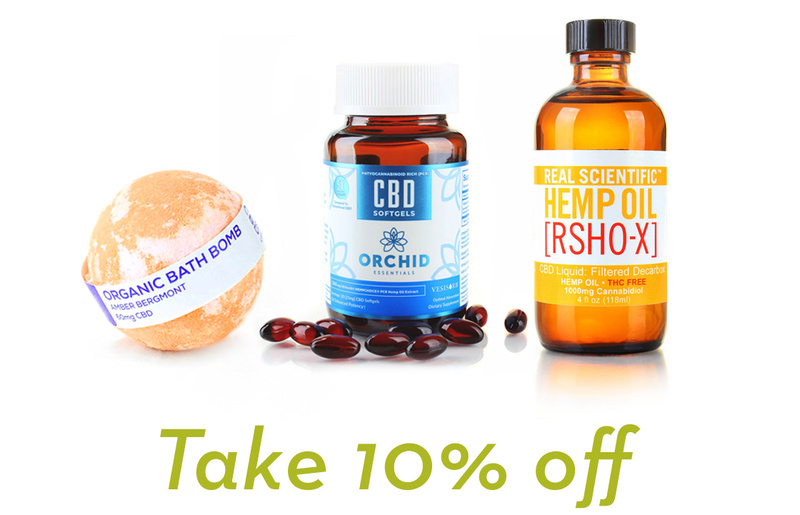 We curate only the best of the best CBD products to help you live your healthiest life. If there are any questions about products, manufacturing processes or extraction methods, please let us know. We are on a mission to help as many people as possible with their health ailments. Previous post: How Do You Take CBD?